Mexico City, Mexico. The music group from Bilbao performed five acoustic concerts from January 20-February 2 in the North American country. One of these took place at the local Basque club. The club informed us that dozens came to their facilities to enjoy the concert that was described as an “intimate climate.” The Basque musician were very comfortable with their visit to the Euskal Etxea and didn’t hesitate thanking them for the “emotional moment,” enjoyed with the local public on social media. After the performance, the hosts and guests shared dinner and were joined afterwards by Francis the singer from the Bilboan group Dr. Deseo who is also touring Mexico. 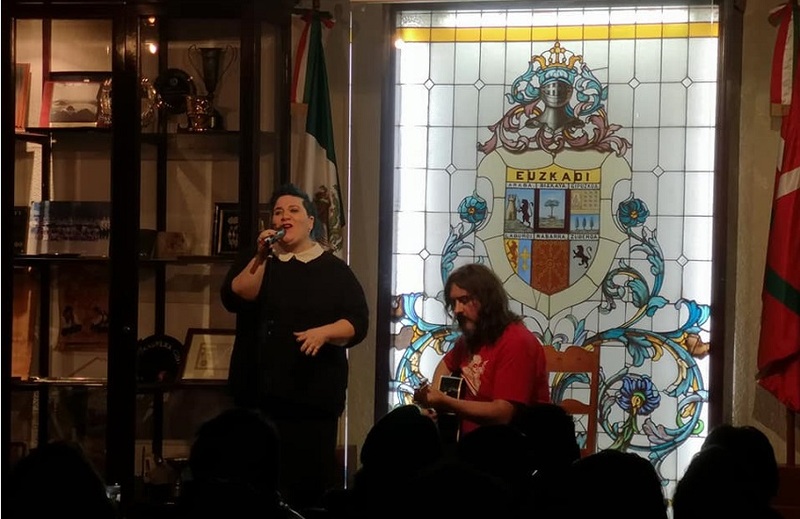 Yesterday, Doctor Deseo performed in the Alicia Hall in Mexico City; a concert that supported Korrika 2019 that will be celebrated soon in the Basque Country and Mexico too.